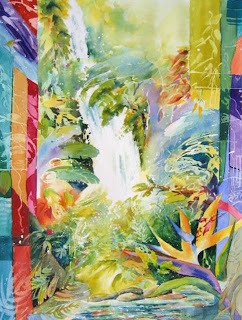 "One of my greatest enjoyments is to experience the ebb & flow of creativity arising from an inner compulsion to paint. 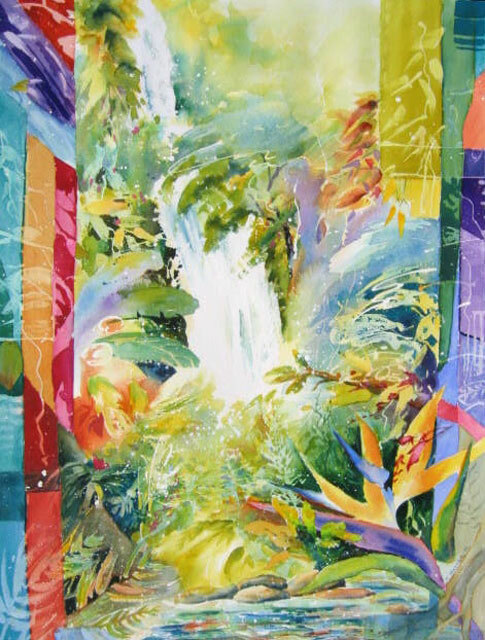 It infuses me with an upbeat mood which is reflected in my paintings. The randomness of nature is my prime inspirational force. This releases me from constraints of realism, allowing imagination to flow freely over my canvas. It parallels the random experiences we encounter & our attempts to pull our lives together in harmonious form. If I can share this enjoyment with others & bring them some pleasure I am well rewarded." I would also like to remind you that your 2012-2013 membership is up for renewal latest by March 31. May I suggest that you bring your cheque of $65 payable to Bayview Watercolour Society together with your form to our meeting next week. (If you wish, you can post date your cheque to April 1, 2012). It is important to renew your membership in order to be eligible for our Spring Luminosity Show in May. Deadline for registering for the show is April 3.